Part funded by Arts Council England, and developed in just six months, 'The Girl From Mars' is a jukebox musical based on Julia's experiences of growing up gay in rural Bedfordshire in the 90s: this was her soundtrack, these were her struggles...with added Sci Fi and 90s cultural references just for the hijinks! From just a few rehearsals with an incredible band of session musicans, two singers who'd never acted before, and two burlesque dancers, the show premiered with two dates at Brighton Fringe Festival in June 2016. The first show was attended by Saffron, lead singer of seminal 90s band Republica and inspiration for Nyah the eponymous Martian, who joined the cast for a rendition of her biggest hit 'Ready to Go'. Following its premiere, 'The Girl From Mars' embarked on a short tour visiting some of the best rock clubs on the circuit to explore how musical theatre can work in these venues; the show is set in a pub so the rock club environments lent themselves well to some semi-site specific work. 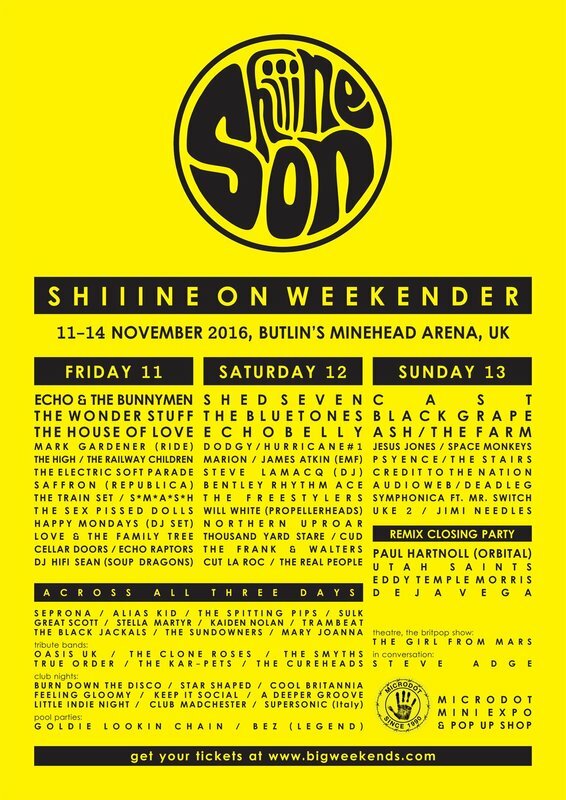 The positive reviews, exciting photos and general buzz around the show culminated in an invitation to bring musical theatre to the massive annual SHIIINE ON Festival, the biggest 90s Britpop and Indie revival festival in the world, in November 2016. Venues included: Picturedrome, Northampton; Roadhouse, Birmingham; Real Time Live, Chesterfield; Level III, Swindon; Craufurd Arms, Milton Keynes (for Musicians Against Homelessness); Wedgewood Rooms, Southampton; Crescent Theatre, Birmingham. "The show is amazing. Your cast is fierce. Best of 90s songs with lots of swagger." "Ace show. Just brilliant fun. We sang all the way through." "I lost my breath and got a wet beard from laughing so hard watching these guys. Brilliant show."